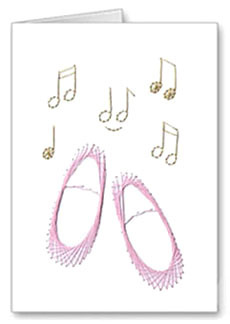 A pretty stitching card suitable for birthday greetings, or just to accompany a gift. Card making is easy, fun to do and it's lovely to give a handmade card. This one has been stitched in pink and metallic gold thread. The pricking pattern comes with easy to follow step-by-step instructions and diagrams.